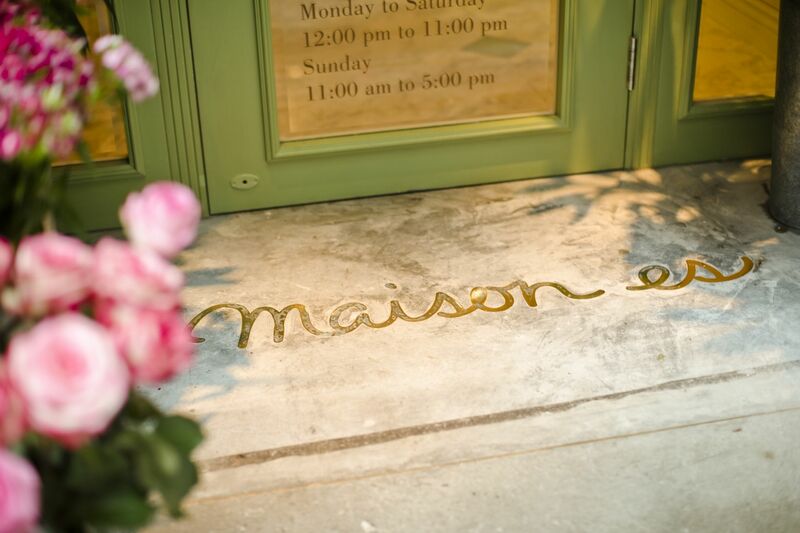 Walking along the Star Street precinct, it’s easy to miss the entrance to Maison ES, which looks more like a Parisian florist with its pale green exterior and array of flowers, instead of a restaurant. Esther Sham’s French-themed bistro boasts a spacious interior that is decorated in shades of pastel, with gentle French tunes playing overhead. It’s clear that a lot of thought has been put into the look of the space, with furniture and crockery sourced by Sham herself. The restaurant includes a terrace that leads to a small garden, as well as a cosy private room. The menu here focuses on the quality of ingredients, cooked simply and well. We noted that guests must request (complimentary) bread if they wish to enjoy it with their meals – an effort to limit food waste. The starter of coddled egg on black truffled mash, served with crisp toast soldiers, is a shining example of a comfort food that needs no bells or whistles to delight the taste buds. A second starter of seared langoustine on warm miso butter corn and mozzarella salad highlighted Sham’s penchant for blending flavours – and it was done successfully. Each ingredient stands out on its own, but together they create a beautiful medley of tastes and textures. For mains, we sampled the seared Hokkaido scallops on spicy prawn and crispy rice – a light dish that satisfies, but the maple roasted black pork belly stole the show, served with sautéed lardon and brussels sprouts. The tender meat was seasoned to our liking and not too sweet, with the crisp greens balancing the dish out. For dessert, we enjoyed the coffee pain perdu served with seasonal fruit and cinnamon crème that ended our evening on a high note. The succinct wine list focuses on French pours, with carefully chosen options that beautifully match the cuisine on offer. On warm summer evenings, the refreshing mocktails are also worth a try – we particularly enjoyed the Berthe Morisot, with fresh apple juice, fresh lemon juice, ginger ale and kaffir lime leaves. Servers are keen to offer suggestions, and much like the care taken by Sham to create a unique dining atmosphere, wait staff are detailed-oriented without being too intrusive. At approximately HK$1,300 for a filling meal for two including drinks, this is a price we would gladly pay for the playful atmosphere, great service, and well-executed food.